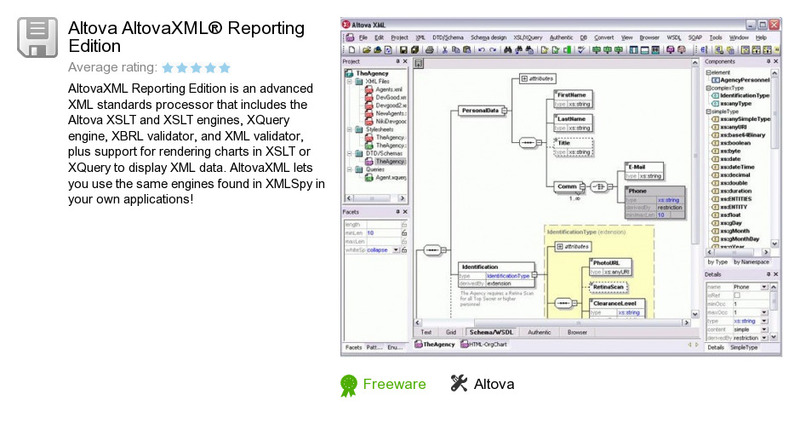 Altova AltovaXML® Reporting Edition is a software product developed by Altova. We know of version 2.0. Version 2.0 is available for free download at our site. Altova AltovaXML® Reporting Edition installation file has a size of 15,152,778 bytes. Altova also publishes Altova DiffDog® rel2 Enterprise Edition and Altova MissionKit (R) for Enterprise Software Architects.